July 2018 – IAP2 was represented by Ms. Leanne Hartill (Australasia) and Mr. Aldi Muhammad Alizar (Indonesia) at the United Nations High-Level Political Forum (HLPF) held in New York in July 2018. Over eight days, the 2,200 registered participants were focused on the theme of this year’s forum - “Transformation towards sustainable and resilient societies.” The objectives of IAP2 were to increase visibility of IAP2 across the global community, establish networks with UN stakeholders and lobby representatives of UN member states and other key stakeholders to endorse and support the global advocacy – call for international year of engagement (or participation) in 2020. IAP2 (Leanne Hartill) presented as part of a panel on effective stakeholder engagement as a means for developing transformational partnerships highlighting the UNESCAP and IAP2 partnership as an example, outlining the IAP2 Core Values as shared values contributing to a successful partnership. The Panel Moderator, Mr. Kaveh Zahedi, Deputy Executive Secretary for Sustainable Development, UN-ESCAP echoing the potential of global advocacy and year/decade of engagement. IAP2 - led by Leanne Hartill and Aldi Muhammad Alizar - are Global Organising Partners for the NGO Major Group. 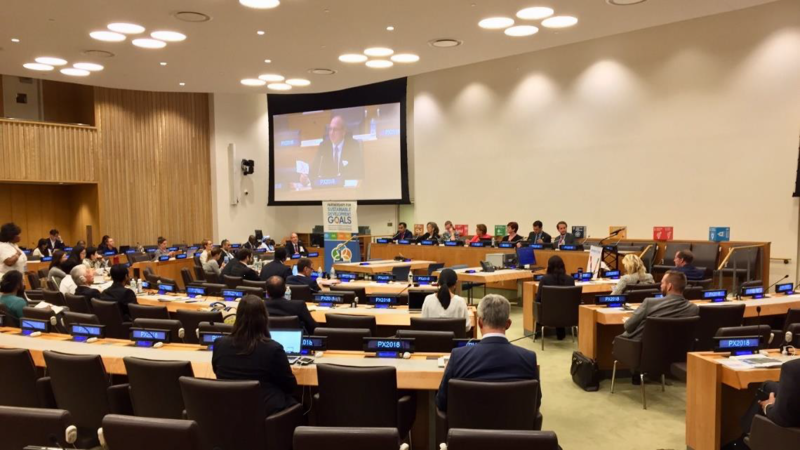 Major Groups and other stakeholders (MGoS) continue to demonstrate a high level of engagement with intergovernmental processes at the UN. The coordination of their input to intergovernmental processes on sustainable development has been led by UNDESA/Division for Sustainable Development (DSD). 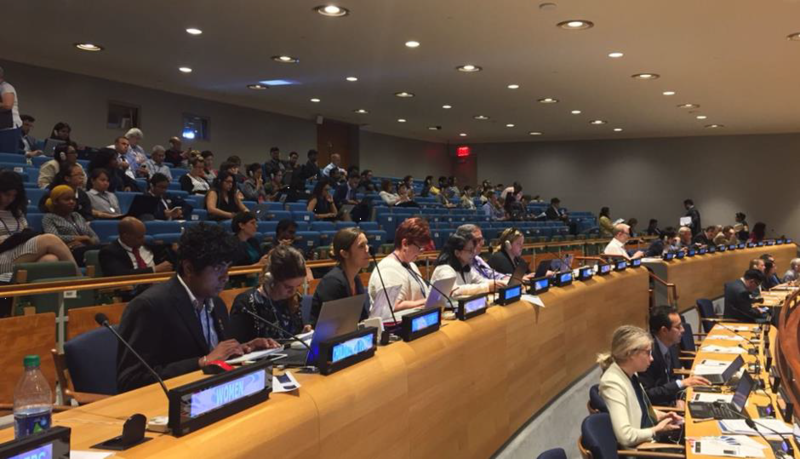 During the HLPF this role provided many opportunities to interact with representatives from the major groups above and other stakeholders to promote IAP2. A key activity was to assist with the drafting of statements from civil society to each of the 47 VNR’s (Voluntary National Review) and coordinate speakers to deliver the questions. Sustainable and resilient societies in Asia Pacific, by Ministry of Foreign Affairs of Georgia and in collaboration with ADB, UNDP and UNESCAP. The 2019 HLPF theme 'Empowering people and ensuring inclusiveness and equality' aligns well with IAP2 core values and presents the best opportunity for global advocacy leading up to this event. In addition, this is an opportunity to involve the broader membership and all Affiliates in building knowledge of the United Nations system and identifying opportunities for IAP2 to contribute towards achieving the sustainable development goals.